Saib Company is classified by (Grade One) with an essential capital of (600,000 USD) while establishment on (31.05.2006). The specialty of the company is in three field; Construction, Transportation & Supply. Saib Co. has a constructional background in the three fields as clarified in the under mentioned projects, in addition to the history of several and deferent types of constructional works mentioned below are the prequalification, long experience and activities of the Delegated Manager of Saib Co. Mr. Mohammed N. Saib. Project Location:	Sulaimany – Penjween - Bashmakh. Project Name:	Complementary Works for Ring Road & Internal Rods of Bashmakh Border Project PART (A). Client:	Directorate of Road in Sulaimaniyah. 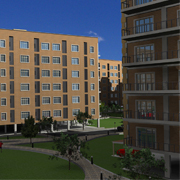 Description of Duties: Saib Co. is the main contractor of this project. Description of Project: It is a complementary works for a road construction project contains; concrete road shoulders; back walls & trenches & installing electrical lighting poles for almost (15 Km) length of roads. Investor & Contractor: Saib Company. Project Location:	Sulaimany – Willoba District. 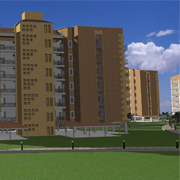 Project Name:	Construction of Saib City Residential Compound. Description of Duties: Saib Co. is one of the main investors in Saib City in partnership with Haval Sahibqarran Co., Razyar Co. and Dar Iwan Co. 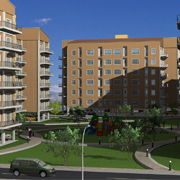 Description of Project: The project is one of the investment projects for residential buildings, contains; (30) multi-story buildings with total number of (780) apartments in addition to implementing all infrastructure activities and all public service buildings such as; fundamental school, kindergarten, health center and modern market. Project Location:	Sulaimany – Rizgary District. Client:	American University of Iraq - Sulaimani. Description of Duties: The project contains installing (35) prefabricated classrooms, (2) computer lab & (2) W.C units for the American University of Iraq – Sulaimani within a period of (3) months. Projects Locations: Sulaimany Teaching Hospital in Sulaimaniyah. Description of Duties: Saib Co. was responsible for all implementation activities in the project from lying out of the buildings until completion of finishing works. Employer: United Nation Office for Project Services UNOPS. Employment Location:	Republic of Liberia, West Africa. Description of Duties: Mr. Saib as a deputy country manager of UNOPS office in the Republic of Liberia was responsible for all constructional projects implementation activities in addition to all other administrative activities of the organization. Duty Post: Delegated Manager in Charge, for a Turkish Co. Employer: Asilsan Co. - Kurdistan Branch. Employment Location:	Sulaimaniyah & Erbil. 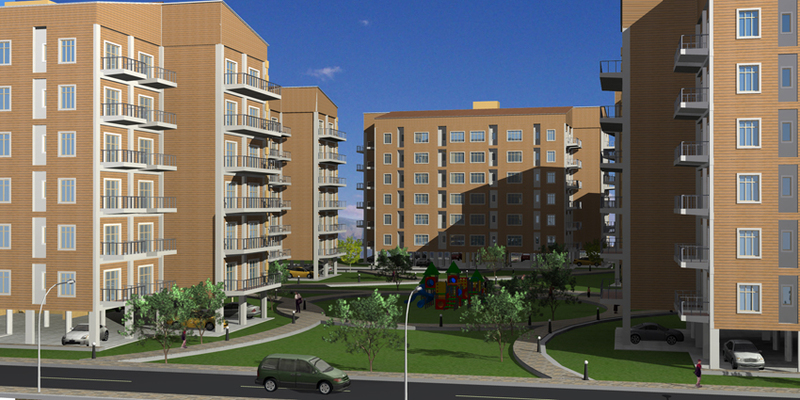 Projects Locations: Deferent Locations in Sulaimaniyah & Erbil. Clients:	Ministry of Higher Education, Sulaimaniyah Municipality & Al-Sharq Al-Awssat Co. in Erbil. Description of Duties: Mr. Saib as a delegated manager in charge was responsible for supervising all Asilsan Co. constructional contracts, in addition to running the factories owned by the company such as: Stone Crusher Plant in Zewe', PVC Door & Window Factory in Sulaimaniyah, Ready Mixed Concrete Plant in Sulaimaniyah & Sand-Gravel Quarry in Darbandikhan. Duty Post: Consultant Civil Engineer & Projects Manager. Employer: KAR Group Co.-Sulaimaniyah Branch. 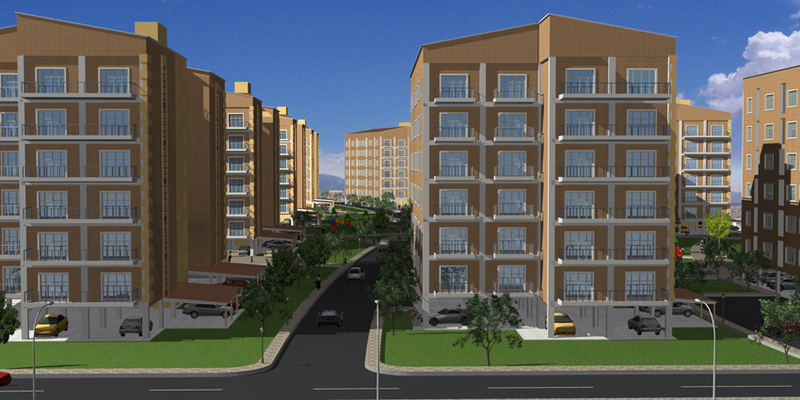 Projects Locations: Deferent Locations in Sulaimaniyah Town. Clients:	Ministry of Health, Ministry of Finance, Ministry of Higher Education, Sulaimaniyah Municipality & Directorate of Electricity. Description of Duties: Mr. Saib as a consultant engineer and projects manager in KAR Group Co. was responsible for supervising the implementation of a huge contract titled by (One Package Project) consist of 16 deferent projects in Sulaimaniyah Town. The projects can be classified as: Complementary Services Projects for (7) deferent quarters in Sulaimaniyah Town, Construction of (3) Health Centers, Construction of Printing House for MOF, Construction of Annex Building for Sulaimaniyah Institute, Renovation of (3) buildings for Directorate of Electricity & Renovation of (3) building for Sulaimaniyah Municipality. Duty Post: Civil Engineering Service Officer. Employer: Food & Agricultural Organization – United Nation. 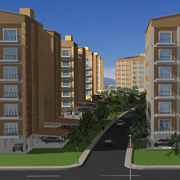 Projects Locations: Deferent Locations in Sulaimaniyah Governorate. Description of Works:	Construction of deferent kind of buildings, sheds, stores & internal roads for deferent kind of agricultural activities in Sulaimaniyah Government. Responsibilities: Mr. Saib was CES Section Officer in FAO – Sulaimaniyah Sub-Office; he supervised directly the entire tender documents preparation: (BOQ, Design & Drawings) of (112) projects and the implementation of (47) projects in about (125) deferent locations around Sulaimaniyah in a total cost about 6,890,000 USD. Also as head of section he attends most of FAO official meetings, exhibitions & conferences in Sulaimaniyah, Erbil, Duhok & Baghdad. Employer: Al-Shimal Bureau for Ready Mixed Concrete. Projects Locations: Deferent Locations in Al-Mousel, Baghdad, Dhyqar & Mesan Governorates. Clients: Deferent Private & Governmental Companies. Description of Works:	Supplying the governmental and private constructional projects with ready mixed concrete from the Batch Plant of 60 m3/hour capacity; through (4) truck mixers & one concrete pump owned by Al-Shimal Bureau. Responsibilities: Mr. Saib as an owner of the Bureau, he was responsible for preparing contracts with the clients, supervising the implementation of contracts, concrete production in the plant and maintenance of all heavy machines. Also supervising the dissembling & assembling the batch plant while transferred to deferent locations in Iraq according to the contracts. Description of Works:	Most of the organization projects were rehabilitation, humanitarian aids and shelters construction for the Kurdish refugee's. Responsibilities: Mr. Saib was Projects Manager in KSRO organization. The most important project which has been implemented in a time record not more than 28 days due to his direct supervision was assembling & installing 1000 pre-fabricated houses in Shanadery Area for the benefit of Kirkukian Refugees. 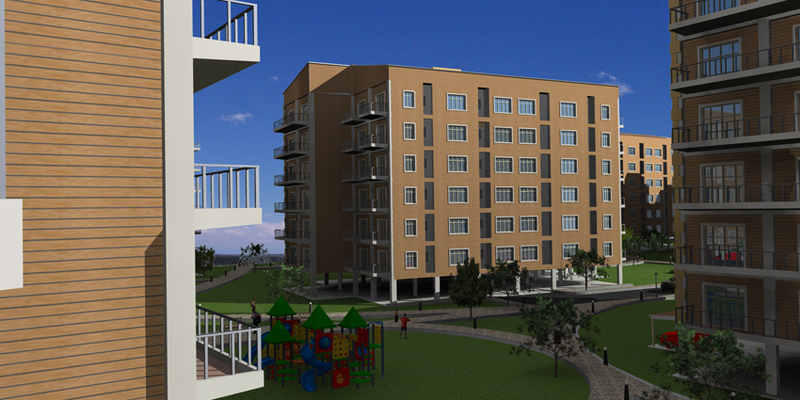 Project Name: Construction of 3 Primary & Secondary School in Babylon. Project Location: Al-Yousifiya – Babylon Governorate. Client: Iraqi Ministry of Internal Affair. Description of Work:	The project was construction of three deferent types of primary and secondary schools in three deferent locations around Al-Yousifiya. The schools have been built during the second national campaign of the Iraqi government for building schools in all Iraq governorates. Responsibilities:	Mr. Saib as a project manager was responsible for the implementation and engineering supervision of the three schools from lying out of the buildings until completion of finishing works. Employer:	Burhan Hussien Rashid Company. Project Name: Construction of Internal Roads in Shorish District in Chamchamal. Project Location: Chamchamal – Sulaimaniyah Governorate. Client: Iraqi Ministry of Construction. Description of Work:	The project was construction of internal roads in the district, composing of cutting the natural ground level, filling with Sub-base for the roads, construction of several single pipe culverts and box culverts. Responsibilities:	Mr. Saib as a project manager was responsible for the implementation and engineering supervision of the entire project. Project Name: Construction of 4 Primary & Secondary School in Babylon. 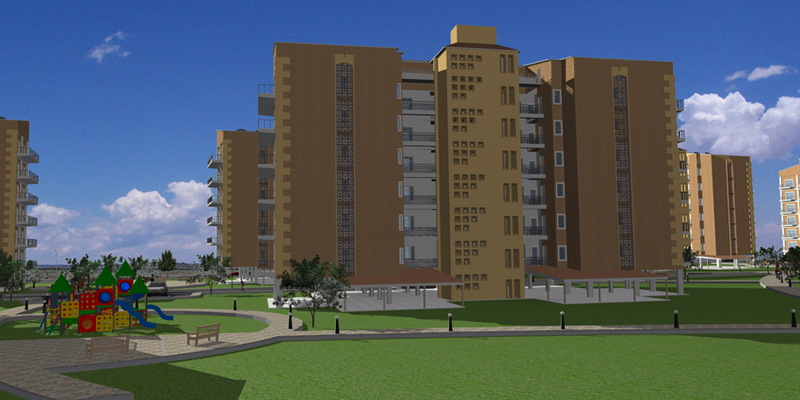 Project Location: Al-Mahmodiya – Babylon Governorate. Description of Work:	The project was construction of four deferent types of primary and secondary schools in four deferent locations around Al-Mahmodiya. The schools have been built during the first national campaign of the Iraqi government for building schools in all Iraq governorates. Responsibilities:	Mr. Saib as a project manager was responsible for the implementation and engineering supervision of the four schools from lying out of the buildings until completion of finishing works. Duty Service: Military service - Iraqi Ministry of Defense. Duty Location: Baghdad – Kirkuk - Sulaimany. Brief Description on Work:	The three years military service was with the Directorate of Military Construction, the exact duty post was Supervisor Engineer for several projects in duty locations, almost about 21 projects and majority was in Sulaimany. Project Location: South of Al Najaf governorate. Client: Iraqi Ministry of Defense. Description of Work:	The project was construction of a small type of military airport with 3.0Km Runway, 3.5Km Taxiway, Connection Roads, reinforced Concrete Shelters for the Aircrafts, Administration Buildings and Service Bunkers. Mr. Saib was responsible for the concrete batch plant & all concrete works in the project.